Many of us install the plugins which we don’t use afterwards. 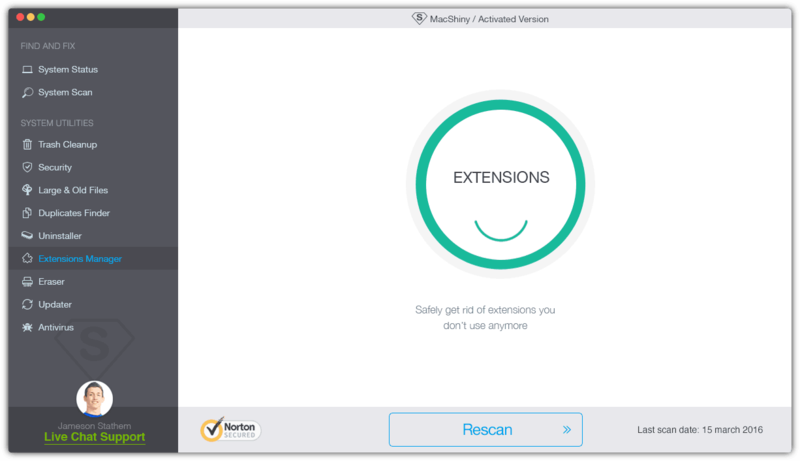 If you don’t want different extensions to slow down your Mac then use Extensions Manager to simply uninstall the ones you don't need. MacShiny will make sure that the unnecessary plugins will not clutter your disk space anymore.